The 1958 Continental Mark III cars and 1959 Lincoln Continental Mark IV and 1960 Lincoln Continental Mark V cars are largely forgotten, and in fact, were purposely “un-remembered” by Ford Motor Company which introduced a new Lincoln Continental Mark III in 1968 in the genre of the 1956-1957 cars, but at a far more “popularly priced” sales point. These 1958-1960 cars were the largest unit-construction cars ever built, and were constructed alongside the Ford “squarebird” Thunderbird four seaters at a brand new Wixom, Michigan plant. Unbeknownst to the public, Ford was able to engineer these lower production number cars to share the most expensive mass production underbody pressings in a bid to make them profitable, which succeeded. As noted, by 1959, the Continental Division was no more and was absorbed back into Lincoln, with Continental merely being the upscale model name for the higher priced Lincolns. 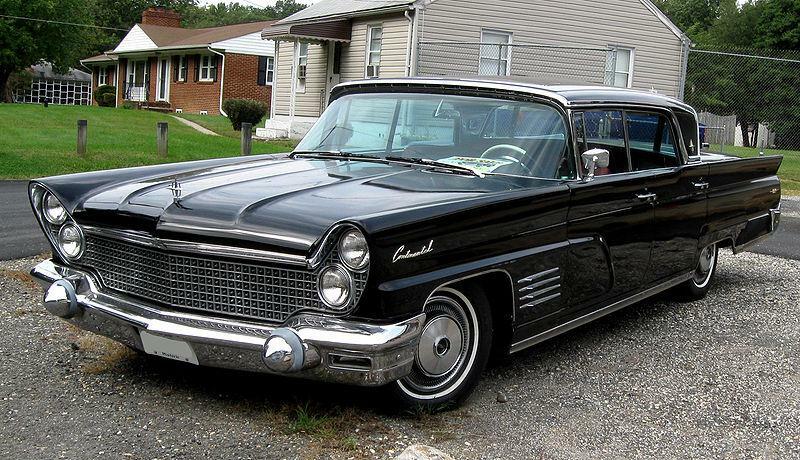 But in fact, 1958 cars were exactly that – but merely sold by a special division through Lincoln dealers. These cars are so forgotten that they now must be so rare as to be highly collectible. When is the last time that you saw one? Mark III, IV and V Continental convertibles are, in fact, Milestone cars. Interestingly enough, these cars weighed in at over 2 ½ tons and were considered massive, heavy, comfortable, ultra-luxury cars when new – but weigh no more than many large SUV’s of the current day. Fuel economy, however, is an oxymoron with these cars due to their then all-new, massive and heavy 430 cubic inch V8 engine initially producing as much as 400 hp, with three two-barrel carburetors (which were a 1958 factory option). By 1960, the car had been detuned to 315 hp with a single two-barrel carburetor in the interest of improving the MPG’s from about 9 to about 12. Even the wealthy were complaining about 9 miles per gallon given the high prices of premium leaded gas at some 30 cents per gallon!